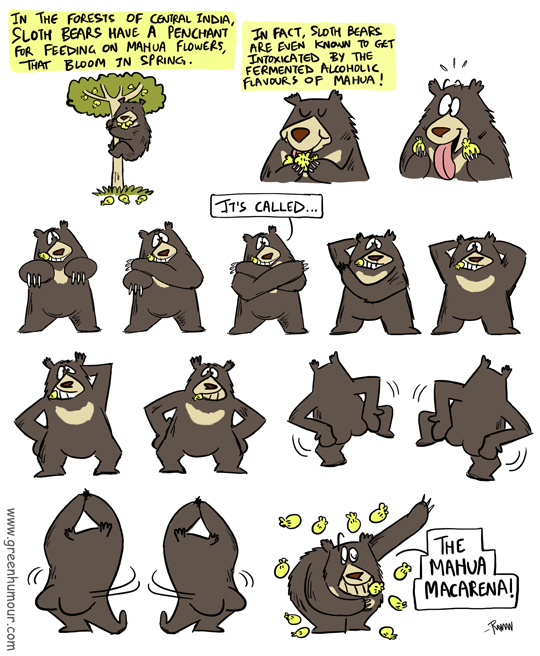 A comic on the Sloth Bear's penchant for Mahua, from my column with Mid-Day today. Mahua isn't just a popular drink among bears, but also people! And Mahua's credentials include not just alcohol, but also medicine. If you're going out drinking tonight, don't forget to try the Mahua Macarena!